It’s been a quiet day here at Motor1.com until our spy photographers sent us a fresh batch of photos depicting a monstrous prototype. 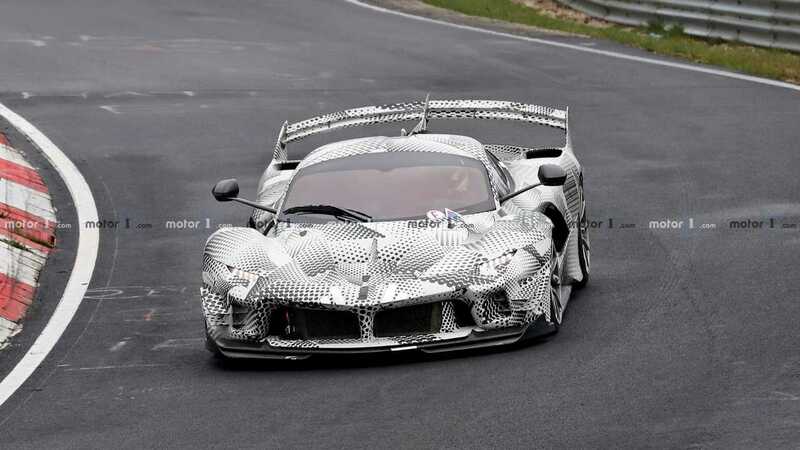 What you see above and in the attached gallery below is a test car based on the mighty Ferrari FXX K Evo running laps around the Nurburgring – and we are wondering what the Prancing Horse is planning. 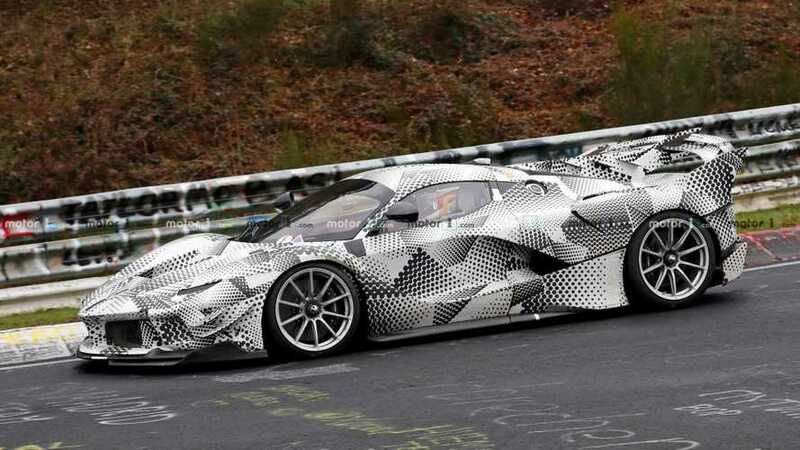 First, this prototype looks a lot like the FXX K Evo spied in September last year at Fiorano but features a different pattern for the camouflage. We spent quite some time trying to find differences between this car and the existing FXX K Evo and, frankly, we were unable to spot any major (if any at all). One thing is for sure – our spies report the car was accompanied by an incredible soundtrack. One very possible scenario is that Ferrari could be working on slightly redesigned aerodynamics for the track-only car. Bear in mind that the Evo suffix refers to an upgraded aero package that Ferrari installs to existing FXX K cars to boost downforce by 23 percent. The camouflage foil here could be hiding further improvements over the Evo performance for even faster lap times. Another option is a conversion of the FXX K Evo to a street-legal machine. With the latest additions to the extreme supercar world, this makes a lot of sense but the lack of actual road-legal headlights and taillights on this prototype indicates this is probably not the case. The units this car uses are exactly the same as the “regular” FXX K Evo. Of course, we could be missing something. With that said, make sure to take a good look at the photos in the attached gallery and let us know what your thoughts are in the comment section below – is this an upgraded package for the FXX K Evo or a potential road-legal version? Or even something else?